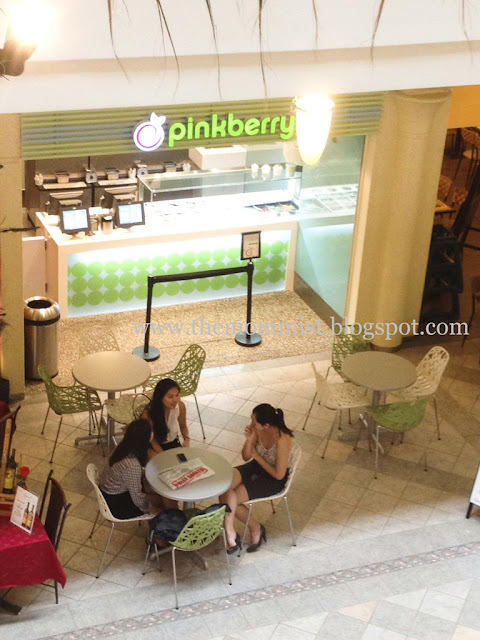 Roughly five months after opening their flagship store at Greenbelt 5, Pinkberry swirls anew with the opening of their second branch located at the Concourse Level of Power Plant Mall. 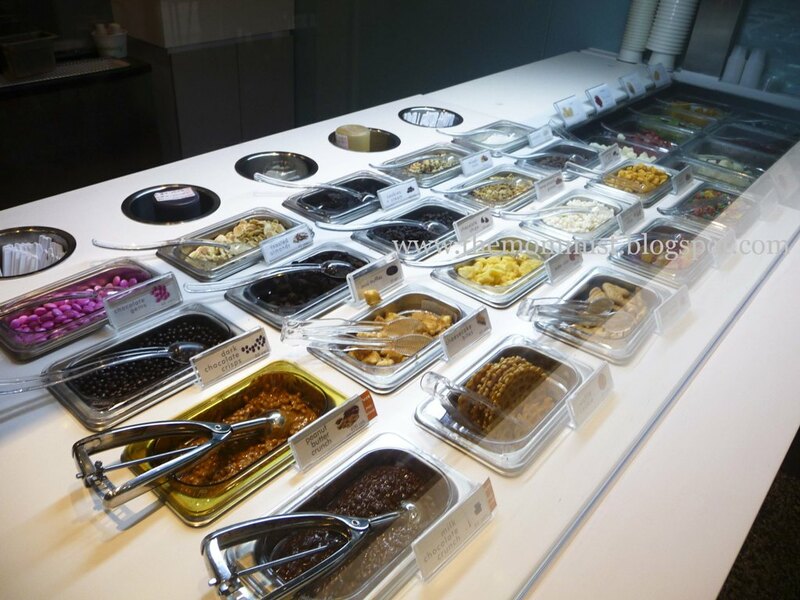 The courteous Pinkberry PP staff fixing the toppings. There's a pair of the Poul Christiansen-wave-design-pendant like lights from their first branch that I like. 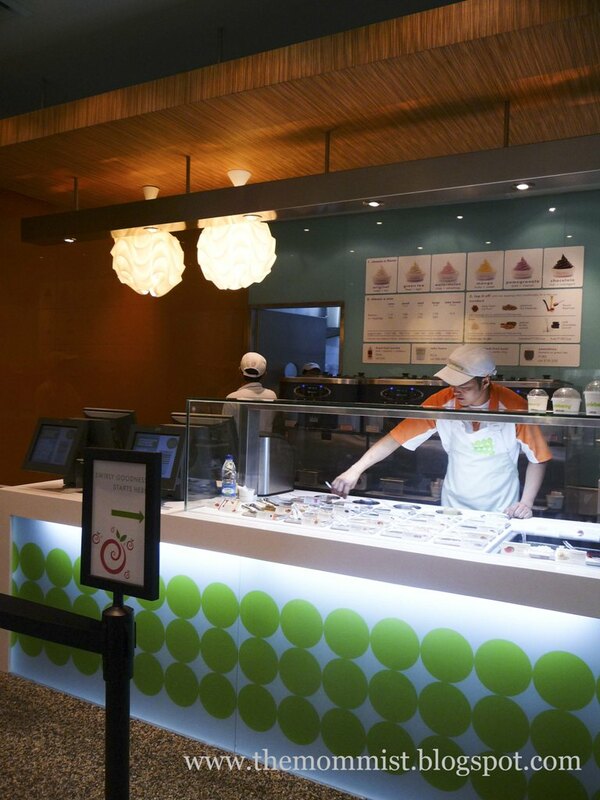 Though smaller than the one in Greenbelt, this branch still packs all the goodness that is uniquely Pinkberry's. 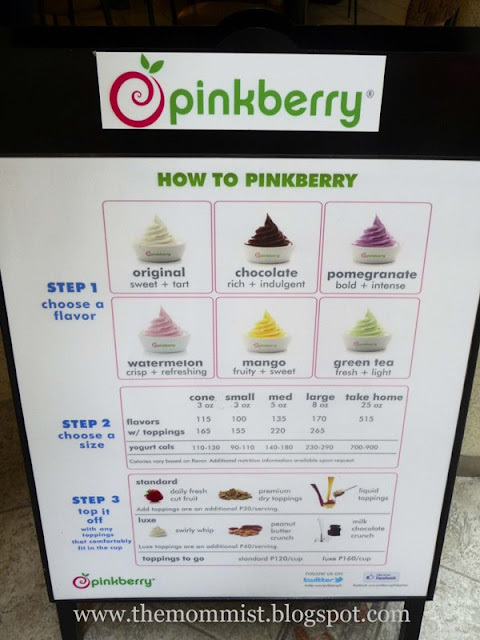 They have all the essentials here - different Pinkberry yogurt flavors, fresher than fresh fruit toppings, superior dry toppings, slurpy good liquid toppings, one-of-a-kind luxe toppings, and rich smoothies! Swirl fanatics kept coming! It was a struggle to take a shot of the branch without Pinkberry swirlers. Spotted a few lovely ladies chatting (latest showbiz gossip perhaps?) while waiting for their frozen treats. 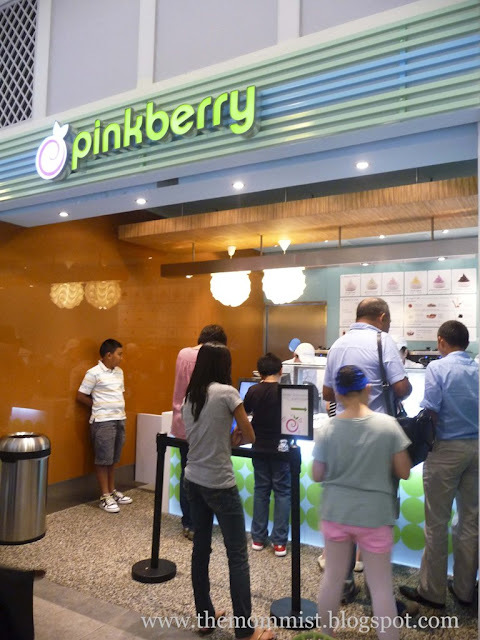 Come and visit their new branch and taste the Pinkberry difference! Happy swirling! Hi Ms. Mommist! Glad to see your social media buttons working well (they look great BTW). About GFC: Yes, I'm following you already. Just double checked. :) I wonder why you can't see me on your list. I'm gonna check again. Love your blog design and most specially, the contents! So informative! Your kids are so beautiful! Great frozen yogurt! :) Thanks! wow! this looks delish! Hey! i just followed you! and, I was just wondering, why can't I see you on my GFC list? anyway, your blog's awesome! God Bless you! Yum! We just had two similar fro yo places open here in central PA, and I am LOVING this new craze. I always wondered what happened to the TCBYs, but this new trend is even better! Love your blog - thanks for the follow! Comments are very much appreciated! Thank you! Visit the mommist's profile on Pinterest.